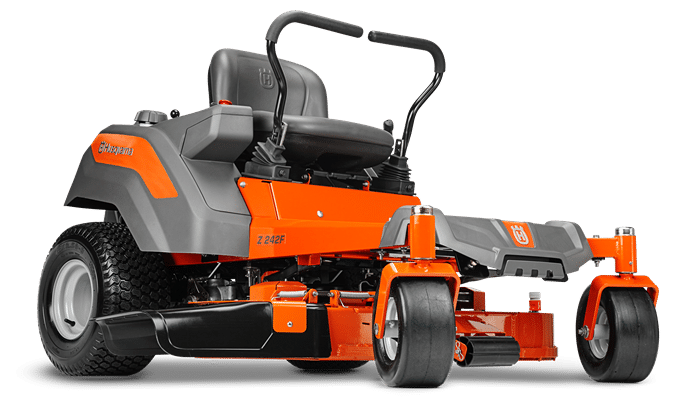 I’m starting off this article with a list of my choice for the best zero turn mowers for 2019. Remember – What I think is the best may not be the best for you so please take the time and read the entire article before you buy. As always, if you have any questions please ask them in the comment section at the end of this article. By Paul Sikkema. Please Subscribe to my YouTube Channel Please note! **This post contains affiliate links and I will be compensated if you make a purchase after clicking on my links. Keep reading after this list to see the full list of great zero-turn mowers. A typical Residential ZTR has the economy ZT-2200 dual hydrostatic transmissions or the heavier duty ZT-2800 and costs between $2200 and $4500. These zero-turns are designed to replace your lawn tractor/riding mower and save you time when mowing. These mowers are great for flat and lawns with slopes up to 15 degrees. Most models have a hitch and will pull a small yard cart, sweeper or dethatcher. This list only includes zero-turns I am confident will do a good job and last for your residential yard. The residential zero-turns in the past used the same deck as a lawn tractor but more and more are now using deep dish and/or fabricated decks that last longer, cut better and mow faster than your old tractor. These new decks and the better agility of a zero turn will allow you to mow your lawn is much less time than with a lawn tractor. To help you find the right size for your lawn please read Best Zero Turn Mowers Buying Guide 2019 – How To Choose The Right One. Today, many of you want to purchase online and most residential zero-turn mowers are now available online. I’ll include buying links from businesses I trust wherever possible. If I missed a brand available for sale online that’s not listed please ask about it in the comments at the end of this article. Buying Online: Home Depot has quietly become the best place to buy zero-turn mowers online. Why? Because they carry the brands most people want and their pricing is competitive. You will also notice that some of the “exclusive” models they carry have more options included in the price! They carry the exact-same items as dealers. In most areas of the country, they work closely with local dealers to get any warranty problems resolved quickly. Be very careful buying from other big-box retailers because they either send your mower off to some far away “repair center” where it can sit for months or they don’t have any agreements with local dealers for warranty work. When you purchase through the Home Depot links in this article many Ariens, John Deere and Toro zero-turns you will buy will include a “White Glove Delivery” in the price! When you order the product The Home Depot uses an authorized dealer for assembly, setup, delivery, and will show you how to use the zero-turn at your home! This list is not a complete list of residential ZTR’s. There are just too many. If there is a particular brand or model not listed here that you feel may be a better choice for you feel free to ask questions in the comments below. If you want my opinion of a dealer only ZTR just ask in the comments below. Finally, are you sure a zero-turn is the best choice for you? They can be fun to drive and will save you time over a lawn tractor but they do have a few drawbacks. Please read this article first if you have not owned a zero-turn before please read this article: Best Zero Turn Mowers Buying Guide 2019 – How To Choose The Right One! Ryobi Cordless Electric Residential Zero Turn! I’ve spent 40 years waiting for the right electric riding mower. Over the years and tried every one that’s hit the market and even bought one, but up until this point, all of them have had been very disappointing. (Does anyone remember the GE ElecTrak?) Following on the sensational 2-year success of their electric-rider, it appears that the Ryobi has finally made the right zero-turn electric riding mower for me. The new Ryobi 42 inch zero turn mower will mow over two acres on one charge. This 42-inch zero turn mower will be great for suburban homeowners with 1/3 to 2 acres to mow. Combine this mower with a brushless string trimmer, leaf blower, hedge trimmer, chain saw and snow blower (a good one is coming this fall from a different manufacturer) and many of us will be able to throw away our gas can and not worry about fuel problems again. The only maintenance this mower really needs is to clean under the deck and check/replace the mower blades every 25 hours. I will be writing a separate article on this new mower soon! 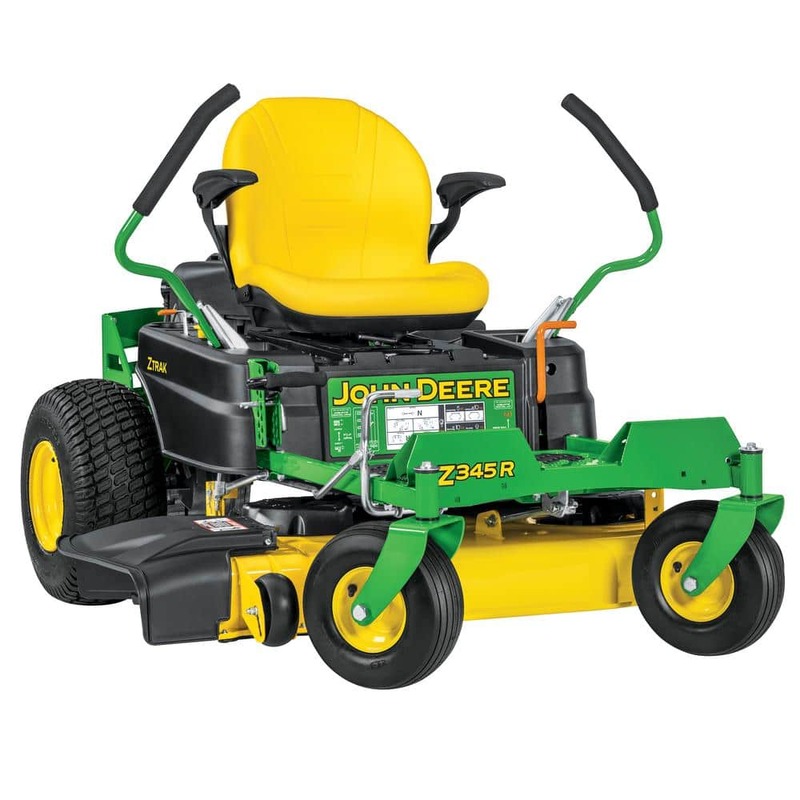 If you want the best cut possible in a residential zero-turn the John Deere Z345R is the mower for you! It is the gold standard for the best cut that everyone else is trying to beat. One of the reasons John Deere decks cut better than all the rest is because they use a deep stamped deck. Because there are no sharp corners or edges inside the deck this style of deck gives superior airflow under the deck. That creates the best lift to cut your grass evenly and the best airflow discharge to get the grass out from under the deck. The Z345 and Z355 Accel Deep decks are built just as tough as competitors fabricated decks. The 300 series is competitively priced with the other residential zero-turns. Yes, the least expensive model is a little more than the competitor’s model because most models include free White Glove professional setup and delivery. When the mower arrives at your home from The Home Depot or your local John Deere dealer it is ready to mow. No shredded belts because the teenager at the big box store did not assemble it correctly. Even the model you pick up at The Home Depot is John Deere Tech inspected, tested and supported. A John Deere authorized technician will perform a thorough 10 point pre-delivery inspection on all new John Deere zero-turn mowers before they are ready to take home. The John Deere ZTrak series zero turn riders operate very smoothly and have comfortable handles. The new John Deere 300 series of economy ZTRs features an Accel deep dome deck that side discharges well, bags well, and is one of the best mulching decks available in this price range. 42-inch size is a good choice for up to 2 acres. 48 inch is good for 1-3 acres and will mow a rough lawn better than the 54-inch models. 54 is good for those of you who have a large lawn and want to get it cut as quickly as possible. NOTE: There are three levels of options on the 300 series. Not Recommended: Z335E ZTrak™ Mower 20 hp (14.9 kW)* full-pressure engine 42-in. Accel Deep™ Deck at Lowes. All John Deere ZTRs come with armrests except this one. When driving a ZTR your arms are extended straight out in front of you. Armrests are important on a ZTR because it helps to keep your shoulders from getting sore. Trust me – spend the extra $100 on the Z335M and get the armrests – you’ll be glad you did! Like Cub Cadet, Gravely, John Deere – Toro makes a complete line of zero-turn riding mowers. (They offer mowers that can mow over 20 acres an hour!) So they have the experience to create for you residential mowers that are built to last and cut well. Toro also offers many features that are hard to find (like a steering wheel instead of lap bars) and many exclusive features like Smart Speed and MyRide. Toro has the most comfortable zero-turn mower on the market, – period. The MyRIDE suspension system has comfort features providing ultimate comfort and a smooth ride. It includes three coil-over-shock assemblies supporting the operator platform, adjustable rear shocks and a deluxe, thickly padded seat with armrests. Not just the seat has suspension but the entire operators platform cushions you from the bumps and jerks of the mower. CR rates the side discharge, mulching and bagging of the Toro 42 inch mowers as one of the best. I personally like the way the 42 and 50-inch decks mulch. They cut the clippings into very small pieces and they don’t leave a mess on the lawn if the grass is wet. One of the best features for the homeowner is Toro uses a “Smart Speed” lever that reduces the load on your ZT-2200 transmissions when pulling loads with your mower. This greatly increases the life expectancy of the transmissions. If you are the aerate, pull a lawn sweeper and hauls 300-500 lb loads in your yard cart Toro is the best choice! Great News! CR rated the 2018-2019 50 inch Toro TimeCutter MX5075 with MyRIDE as one of the best cutting large area mowers! This new mower has a unique suspension system that completely isolates your from the bumps and jarring of mowing your lawn at 7 mph. Toro has had this system on their commercial mowers and snow you can get it on a residential model! Like John Deere, Toro residential decks cut better than all the rest is because they use a deep stamped deck. Because there are no sharp corners or edges inside the deck this style of deck gives superior airflow under the deck. That creates the best lift to cut your grass evenly and the best discharge to get the grass out from under the deck. The SS4000 series decks are built just as tough as competitors fabricated decks. Toro® Commercial V-Twin engines were specifically created to deliver optimal performance by matching the torque curve of the engines to the needs of the Toro decks they power. Intelligent design and tight tolerances help the governor respond faster with more power when you need it, so you’re ready to handle your toughest outdoor tasks. There are a few models available with Kohler or Kawasaki engines. 10-gauge steel frames, heavy-duty engine guards and large caster forks for added durability. Heavy-duty cast iron and steel front axle provide years of dependable performance. Some models offer a steering wheel instead of lap bars. If your property has slopes or ditches that you have a hard time mowing with a conventional ZTR take a close look at the steering wheel versions. The front wheels are steerable which helps to hold the mower on slopes like a lawn tractor. In addition, the front wheels are mechanically tied to the rear transmissions so both rear wheels offer traction like a locking differential on a garden tractor. 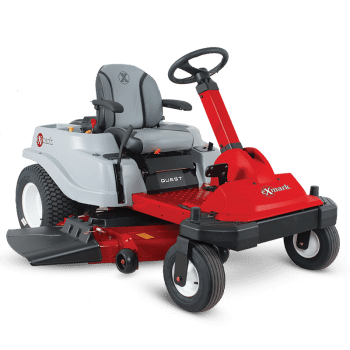 Toro TimeCutter MX5075 with MyRIDE Suspension System 50 in. Fab 24.5 HP V-Twin Model# 74778 Exclusively available at The Home Depot. and ACME Tools. NOTE! 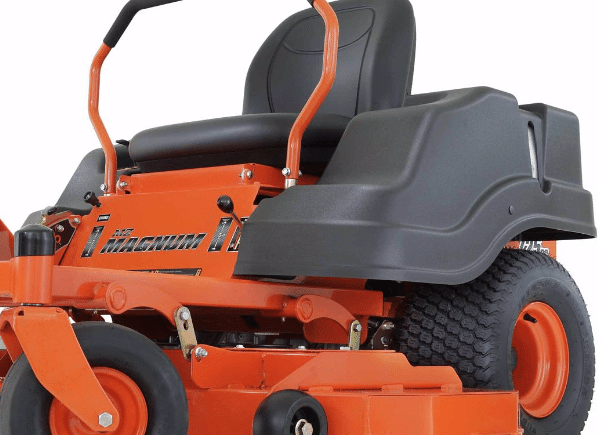 This mower is one of the best choices for 2019. It will easily handle larger yards. It is excellent at side-discharging and mulching. Toro’s MyRide, which puts a suspension on the operator’s platform, makes for a more comfortable ride. Since you are isolated from the bumps and ruts it is also handles extremely well. Not Recommended. Toro sells three mowers I do not recommend. The Timecutter 32 inch SS3225, Timecutter 32 inch SW3200, Timecutter 34 inch MX3450. I am not a big fan of the small 30-34 inch ZTR’s and the Toro is no exception. The rider is wider than the deck so even with a mulch kit installed you can only trim on the left side. This model from Toro is not as tippy as the other small ZTR’s but it still has traction issues when zero-turning and on slopes. Don’t buy one of the 32-inch models if you have a soft or sandy lawn. Consumer Reports has never tested an Ariens but I hope someday they will include the IKON X and IKON XL in their testing. Why should they test them? Because they are excellent mowers at a reasonable price. 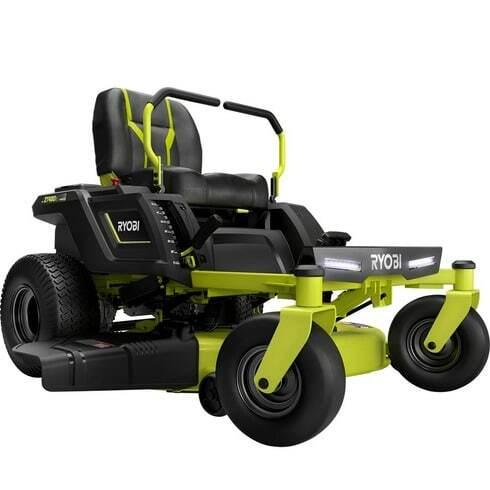 The deck uses thicker steel than most of the other mowers in this price range. This COMMERCIAL-STYLE DECK 4 1/2” deep fabricated deck delivers maximum airflow in challenging mowing conditions. 4-point hanging deck. Especially appreciated if you have a lot of dips and bumps in your lawn – Commercial-style 4-point deck suspension creates a more level cut when going over uneven terrain. Plush, adjustable high-back seats with armrests give you a comfortable and more ergonomic ride. Ariens was one of the first with the dial-operated cut height. 13 positions from 1 1/2 to 4 1/2 inches. Just turn the dial. Kohler 7000 and Kawasaki FR engine options. These are also available through the Dealer ONLY Gravely brand. 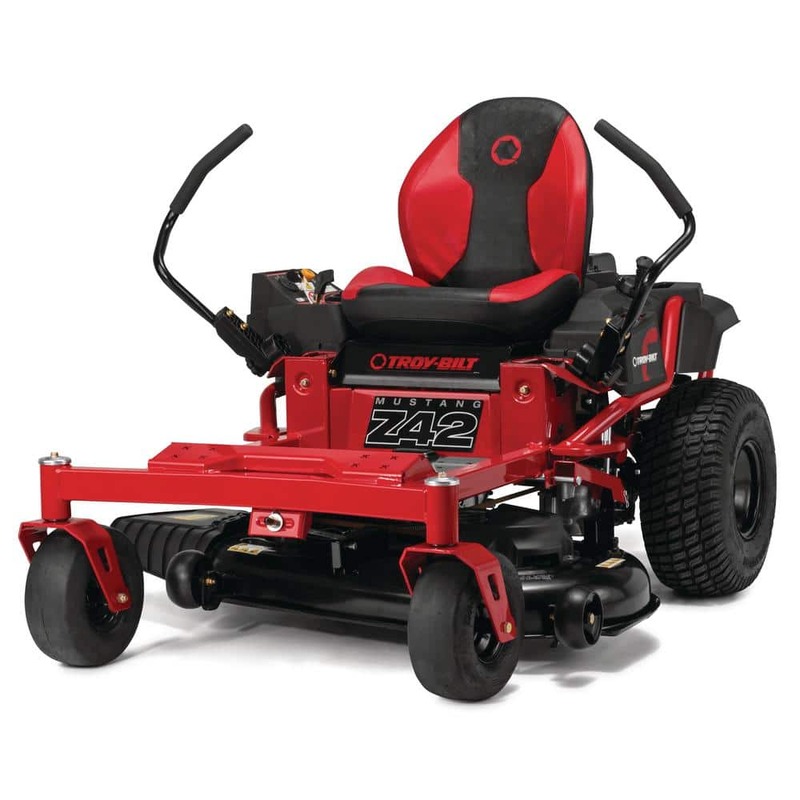 Gravely paints them red and calls these mowers the ZT and ZT X. If you are looking at a Hustler Raptor or Bad Boy MZ seriously look at this mower before you buy. Not Recommended. 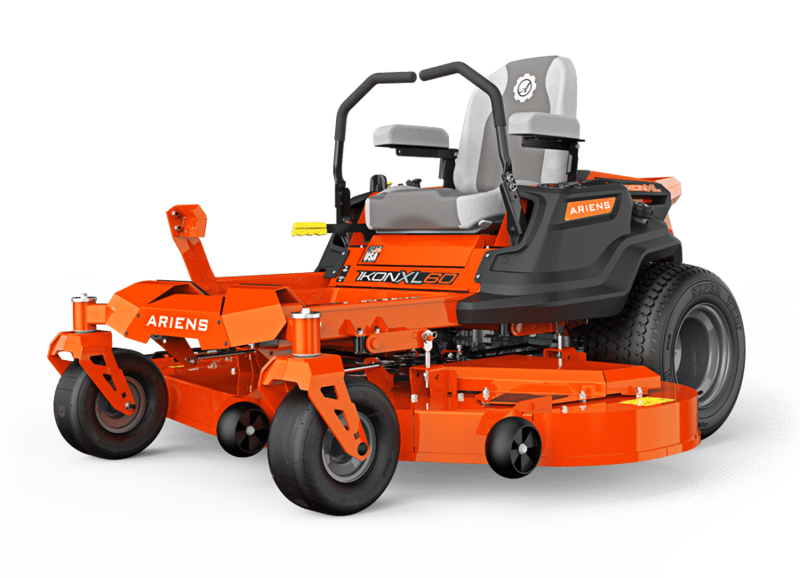 Ariens sells one mower I do not recommend. Zoom 34. I don’t recommend 30-36 inch ZTRs – period. They have very poor traction and will tear up just about any lawn. Yes, companies make them but that doesn’t mean they are the right mower for you. Cub Cadet has quietly become one of the largest manufacturers of zero-turn mowers and they make eight different zero-turn lines ranging from the $2449 RZT-L to the $13,000 PRO Z 972 S KW. The residential models are consistently rated by the product review sites that actually test the mowers as the best cutting residential riding lawn mowers. The new Ultima mowers feature the well-respected Kohler and Kawasaki engines. Cub Cadet listened to you and did extensive research with focus groups to design a whole new residential zero turn platform for 2019. Gone is the stamped chassis and poor serviceability of conventional residential ZTRs. I am very excited about the new Cub Cadet Ultima Series. It is a real step up for Cub Cadet and will bring the entire residential zero-turn rider market to the next level or performance, durability and ease of use. The new Cub Cadet Ultima Series Zero Turn Riders use a 2 inch continuously welded square tube frame for structural strength. This is the same design typically found on commercial mowers. It’s is a lot stronger and the unique style really stands out. Large front and rear tires for a better ride, less turf damage and less ground pressure for soft soils. Large lap bar grips for comfort. Instead of foam, a nice, heavy padded grip gives you a real positive and comfortable feel. The lap bars are fully and easily adjustable for operator comfort. New padded comfort seats and seat isolators smooth out the bumps. The control panel makes it very easy to view your keypad, hour meter, PTO and control system. Offset front axle so you can trim better. AeroForce™ 11-gauge and Signature Cut 13-gauge steel decks. 1-4.5 inch cutting height! The Cub Cadet Ultima Series did a nice job for your mower deck lift. Instead of a hand lift, there is a foot pedal assist with a simple knob. The 15 different cutting height settings are easy to view. Adjustments are in quarter-inch increments. Depending on the model the Ultima Series uses Kohler 7000 Series or Kawasaki FR691V Series V-Twin OHV engines. 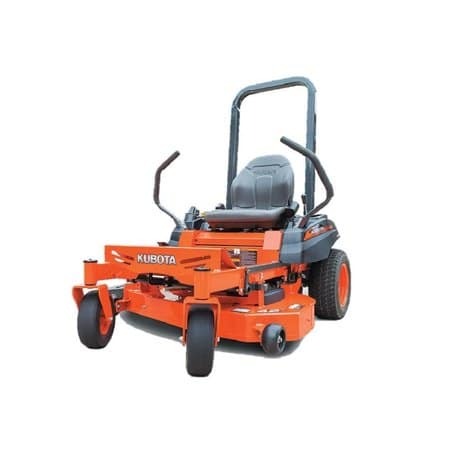 The ZT1 series mowers are available with a 42, 46, 50 and 54-inch cutting width and the ZT2 mowers are available with a 50, 54, and 60-inch cutting width. 42 inch or 46 size is a good choice for up to 2 acres. 50 inch is good for 2-3 acres and will mow a rough lawn better than the 54-inch models. The 60-inch models are good for those of you who have a large lawn and want to get it cut as quickly as possible. Cub Cadet Ultima ZT1 42 available at The Home Depot and Tractor Supply Co.
Not Recommended. Cub Cadet sells one mower I do not recommend. Home Depot Link: Model# RZT-L 34. The Cub Cadet 34 in. 452cc Single-Cylinder Dual Hydrostatic Zero-Turn Riding Mower with Lap Bar Control. I don’t recommend 30-36 inch ZTRs – period. They have very poor traction and will tear up just about any lawn. Yes, companies make them but that doesn’t mean they are the right mower for you. Bad Boy Mower is known for their almost fluorescent orange paint and their extravagant display booths at the trade shows. Tractor Supply Company carries two models that fit into the economy category, the 42 and 54 inch Bad Boy Magnum MZ. When the MZ Magnum first came out there were more than a few customers who complained about the cut but this is not that mower. Bad Boy redesigned the MZ Magnum and it now has a new 7 gauge fabricated deck. One thing I find interesting is on the Bad Boy website they only suggest this for 1.5 acres a week. That’s only 45 minutes or so run time per week. I don’t get it. ExMark really does not have an economy model. The lowest price option is the ExMark Quest. These are dealer only models with fabricated decks. There are 4 lap bar and 2 steering wheel versions. I personally own the 42-inch fabricated deck steering wheel model and it cuts and drives great! If you don’t have access to the Toro brand these are a good alternative. They are very similar to the Toro SWX models. Hustler makes four economy models in the dependable Raptor line. A 36 inch, 42 inch, 52 inch and a 52-inch special edition. As usual, I don’t recommend the 36 inch. Most people who buy these mowers like them. The majority of the complaints come from the initial assembly by Lowes. So, I suggest if you want a Hustler – buy it from a local dealer. The local dealers will assemble it out of the crate correctly and test everything to make sure it is ready to mow. This ZTR is designed for flat and gently sloping lawns. You may burn out the EZT hydro transmissions prematurely on the 52-inch models if you try to mow slopes and ditches. Hustler Dash: Some of you may want the cheapest ZTR on the market. Right now that is the Hustler Dash. Be Aware it uses a “tiny” 10.5 hp Briggs PowerMore engine and the smallest zero-turn transmissions available. (HydroGear ZT-1800) Yes, it will mow your 1/3 to 1/2 acre flat, smooth lawn but please don’t expect it to do ANYTHING else. Big Dog: Big Dog is Excel’s dealer only brand and are basically the same mowers as the Hustler. They usually have an extra feature or two over the Hustler Models. Husqvarna has a lot of economy zero-turns for sale at various retailers but the three listed here are the new, redesigned models with the Clear-Cut decks These new models feature a great seat, easy deck lift and they cut and bag well. CR states that Husqvarna is one of the more repair-prone brands but these models are too new to fall into that general category they put them in. In other words, if you buy one of the models listed below it will last just as long and any other economy zero-turn. What’s innovative about the ClearCut® deck? Available on select models of Husqvarna riding mowers, the redesigned ClearCut® cutting deck delivers a perfect cut on imperfect terrain. By generating substantial air flow, the patented baffle system raises grass blades for a clean and precise cut from one side of the deck to the other. Whether you prefer discharge, mulch or collection-based mowing, the ClearCut® deck will exceed your expectations. All the models listed use the ZT2200 transmissions. 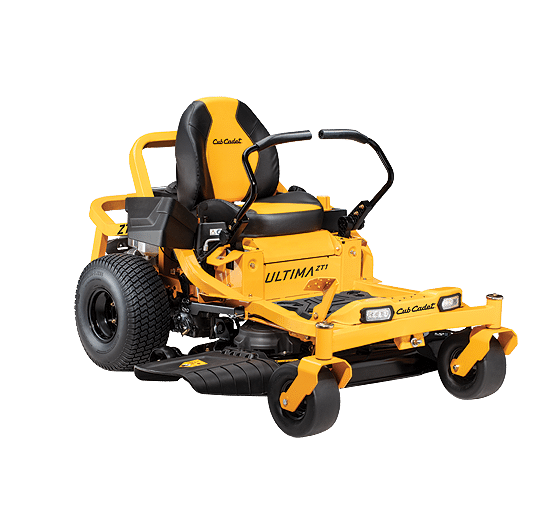 The new Mustang Z42 is based on the same design as the new Cub Cadet Ultima XT1. 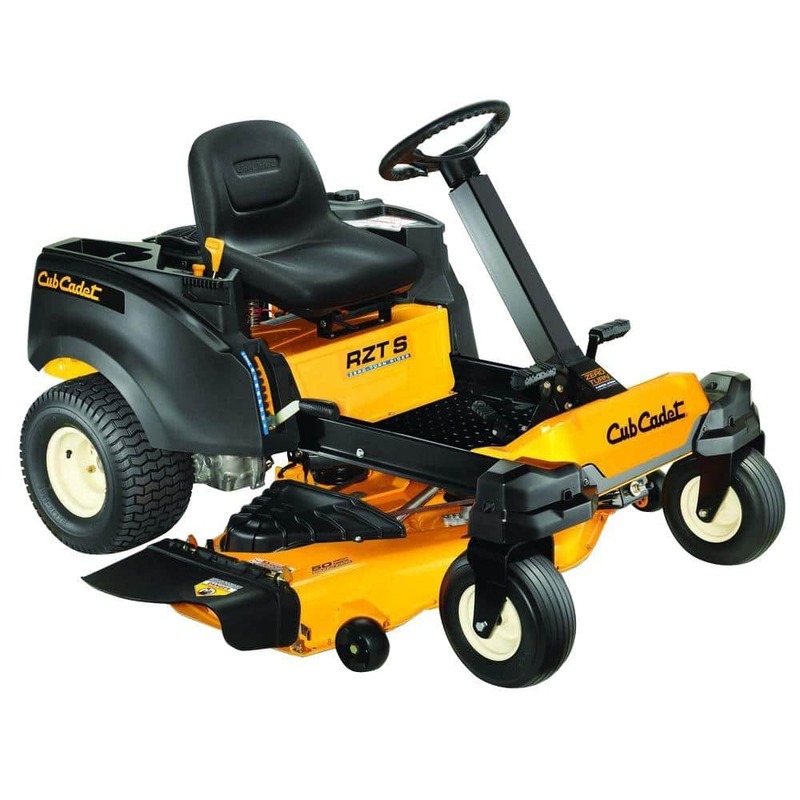 It’s $200 less than the Cub Cadet but lacks many of the features that the Cub Cadet has. At this point in time, I suggest spending a little extra and buying the Cub Cadet. Frame – Both have the fully welded frame but the Cub Cadet has additional frame members in the rear to protect the engine. Engine – Troy-Bilt uses the Troy-Bilt Branded 679cc PowerMore. Cub Cadet use the Kohler 7000 series. Warranty – Troy-Bilt 2 years. Cub Cadet 3 years. In the last 12 months, Craftsman has changed. There are now two Craftsman brands. Craftsman at Sears is the brand you knew and loved in the past. Craftsman SBD is new and owned by Stanley Black & Decker. So – I’m going to spend more time here explaining what Craftsman is than talking about the actual zero-turn mowers. If you understand all the different “Craftsman’s” you will be better at deciding if a Craftsman ZTR is the best mower for you. Last year Stanley Black & Decker purchased the Craftsman name from Sears. As part of that sale, Sears is still able to sell Craftsman branded merchandise but the products may/will be different than the Craftsman products from Stanley Black & Decker. Let me explain how that affects Zero-Turn Mowers. Craftsman at Sears: Mowers sold on sears.com and Sears Stores are still the products you are familiar with. The zero-turn mowers have not changed for 2019. They are warrantied and serviced through Sear Repair Services. All parts and all parts for the older Craftsmans are available through searspartsdirect.com. Sears Hometown Store, Sears Outlet, and Ace also carry these mowers as independent retailers. This includes Craftsman Professional mowers. You can find the Craftsman and Craftsman Professional mowers at Sears here: Craftsman Zero-Turn Mowers. Craftsman SBD: The mowers from Craftsman SBD (Stanley Black & Decker) are new. 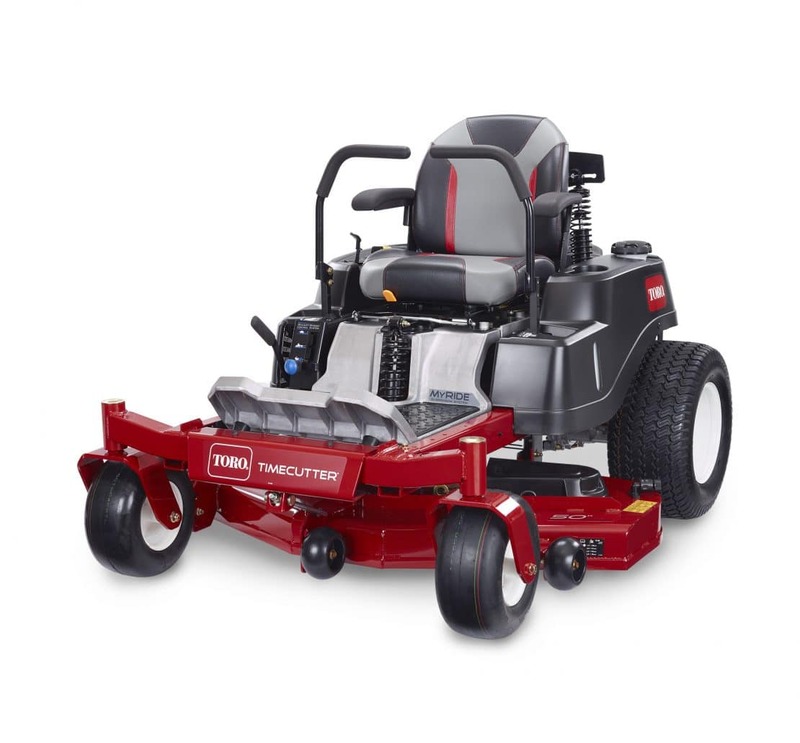 Currently, these Craftsman branded mowers are sold at Lowes and Amazon. It appears Craftsman SBD also took ownership of the website craftsman.com. There you can find warranty information and where to get repairs for your ZTR. It appears parts and service will be done through their ServiceNet Website. Besides buying the Craftsman brand Stanley Black & Decker also purchased a stake in MTD last year. What that means for you is all of the mowers, lawn tractors and snow blowers that have the Craftsman SBD name will be made by MTD. 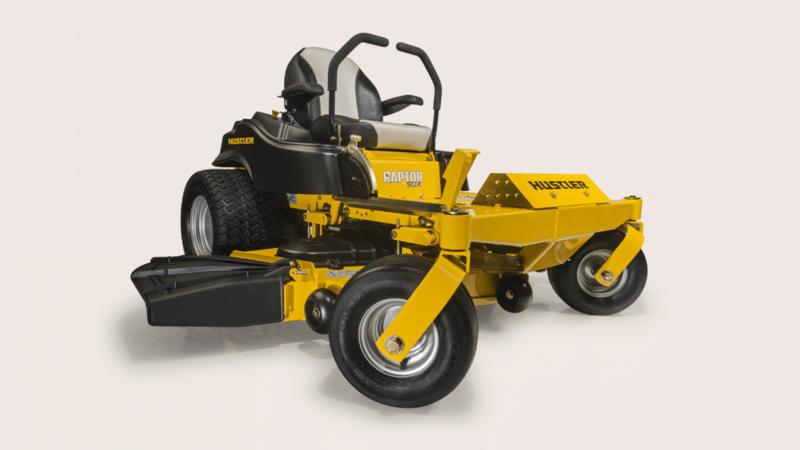 The new Craftsman SBD is based on the same basic chassis as the new Cub Cadet Ultima XT1. It’s $100 less than the Cub Cadet but lacks many of the features that the Cub Cadet has. At this point in time, I suggest spending a little extra and buying the Cub Cadet. Warranty – Craftsman SBD 2 years through Stanley Black & Decker. Cub Cadet 3 years through MTD and their large Cub Cadet dealer network. Simplicity and Snapper both sell a zero-turn with the EZT transmissions but as far as I know they are only available through your local Simplicity or Snapper dealer. CR does not rate the Simplicity but unfortunately, they consistently give its twin, the Snapper 360Z, the lowest rating for ZTRs. I have not used one enough to verify if I agree with their rating or not. 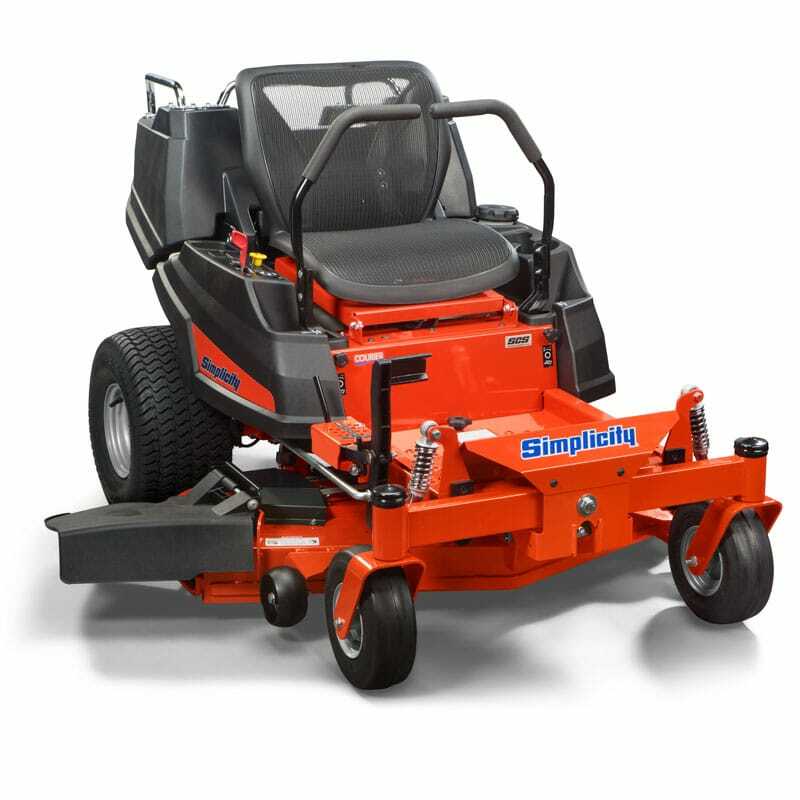 The only complaint I have with the Simplicity Courier™ Zero Turn Mower is I wish they would have put a small tailgate on the integrated cargo bed. The “The exclusive Suspension Comfort System™ complete with front or front & rear suspension allows you to feel 25% less impact while operating, resulting in enhanced comfort versus a non-suspension zero turn mower” Suspends the entire mower – not just the operator. Because of that, you may experience an uneven cut on really rough lawns because the deck moves up and down with the rest of the mower. If you have a rough lawn please demo it on your lawn first before you buy – or just pass and buy the Toro MyRide! Remember – DO NOT buy E15 fuel. It will ruin your engine! With today’s ethanol blended fuel you need a gas can that seals tight. It helps the fuel last longer and the escaping vapors won’t wreck the environment. But the biggest problem is to find one that works. The cheap ones ($20 or more now) don’t have vents so it takes forever to fill the tank on your lawn tractor. The cheap ones are also flimsy and the spouts break after the first year. Well, I’ve found two brands that work great! I have both brands and I use them all the time. They are vented inside the spout so the fuel pours quickly yet seals tightly when not in use. I’ll give you links at Amazon for two sizes. I suggest buying the size so that you don’t keep more than a month of fuel around the house. “recommended” No-Spill 1405 2-1/2-Gallon Poly Gas Can. A good size for snow blowers and push mowers. “recommended” No-Spill 1450 5-Gallon Poly Gas Can (CARB Compliant) This one has a second handle in the back so it is very easy to use and hang onto when pouring into your fuel tank. A good size for lawn tractors and zero-turns. If you have a problem holding a gas can the SureCan is a great can. It’s very comfortable to use and built well. Fuel Stabilizer: When I go to the gas station and buy fuel I always put fuel stabilizer in the storage tank. It helps keep the fuel fresh and some stabilizers also clean your carb and fuel system without messing it up. There a many good brands but I’ve used SeaFoam for years and it’s always worked well. I use 2 tablespoons per gallon of fuel. Have I helped you? If would you like to buy from your local dealer or store but still want to support TodaysMower just click on this link and buy anything you need. I’ll make a small commission from the sale. Buy at Amazon. TodaysMower.com is a participant in the Amazon Services LLC Associates Program, and we get a commission on purchases made through our links to Amazon. What’s your take for a small zero turn for my under 1/2 acre yard? How’s the hustler dash, toro timecutter, or the ryobi rider? I love the battery idea, just wondering about battery life. Also, can you still find the Husqvarna articulating mower? I’ve used a California trimmer reel mower for the past 6 years, but want less maintenance and speed. Time to decide, I have narrowed my search down to two. The 2019 JD Z740 and the 2019 Exmark Radius X. I cut 2+ acres with a some what rough ( lack of rolling the last two years ), A medium incline for a drain field. Also deciding between the deck size 54″ ( 52″ Exmark ) and both have a 60″. I currently cut with a CC 54 ” lawn tractor.